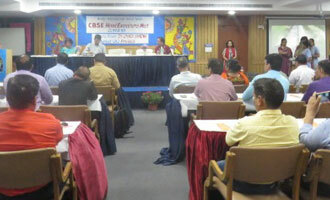 The school hosted CBSE Physics head examiners meet was that attended by 81 head examiners from the region. The meet was presided over by Mr Rajber Singh, Regional Officer, Dehradun Region, CBSE wherein Dr Mrs Charu Sharma, Principal, Kendriya Vidyalaya, Dehradun was the subject expert to discuss the marking scheme for evaluating Class XII Physics paper. 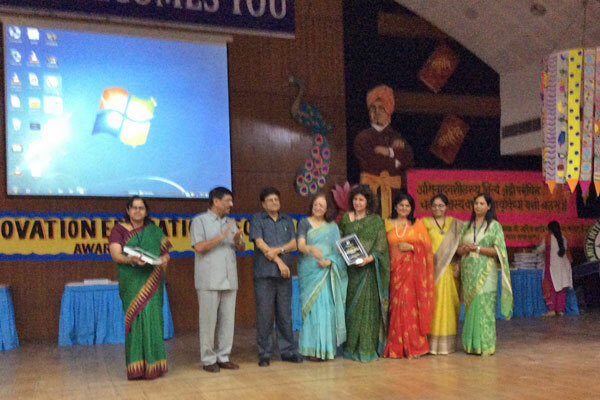 Mr S C Tiwari, Principal, Apeejay School & and Mrs Renu Singh, Principal, host school were the special invitees. 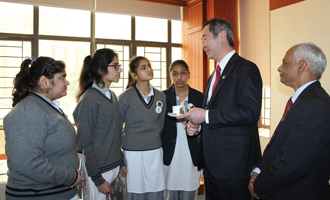 The meet entailed a detailed discussion of all the 26 questions in the question paper and concluded with the development of a comprehensive and student friendly marking scheme. The solemn occasion saw newly-elected 159 member dynamic council of young students, don the mantle of leadership and promise to discharge the responsibilities entrusted upon them by the school. 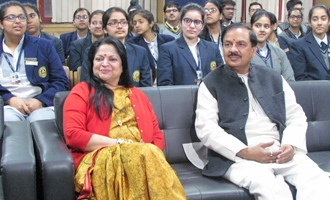 The event was graced by Dr (Mrs) Amita Chauhan, Chairperson, Amity Group of Schools & RBEF, School Principal Renu Singh and other heads of Amity institutions. 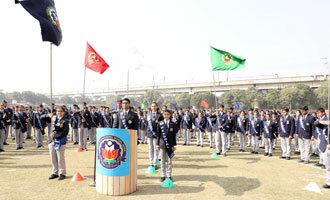 School Head Girls, Preeti Panigrahi, Jahnvi Vig and the Head Boy Aryan Taneja accepted the School Flag with reverence and pride. 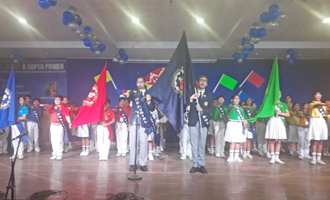 The House Captains were presented their respective house flags, while the newly-elected members were conferred with badges and sashes. 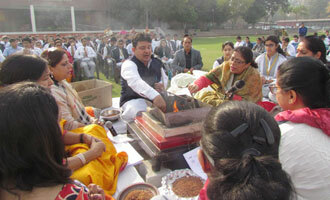 The event commenced with an auspicious ‘Havan’ to invoke the blessings of the Almighty. 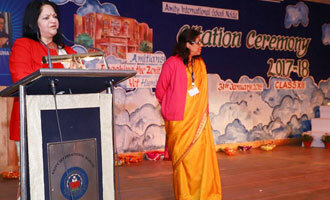 School Principal, Mrs. Renu Singh, blessed the students. 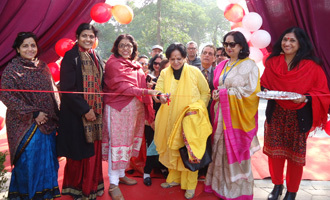 Chairperson Dr. (Mrs) Amita Chauhan exhorted the students to make the dreams they nurtured in the portals of Amity into a reality. 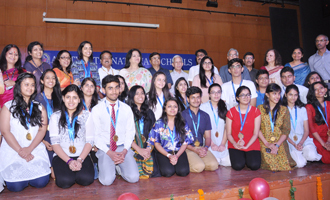 Citations were presented to the outgoing batch of Class XII followed by Showers of Blessings sung by the teachers, heads of the institution and the students of Class XI. 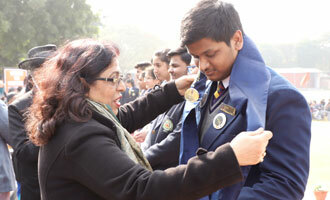 Class XII student receiving citation from the Chairperson Class XII student receiving the citation. 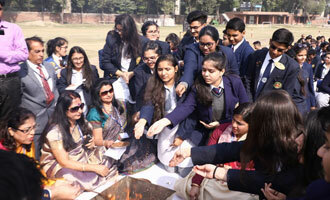 The school organised a havan ceremony to seek the blessings of God for the students of the secondary school. 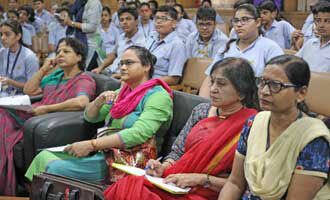 School principal Mrs Renu Singh motivated the students to be honest, punctual and meticulous in conduct. 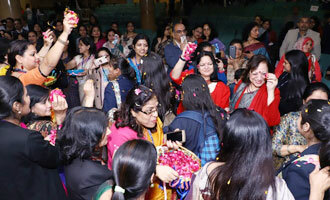 The students received blessings from all the teachers. 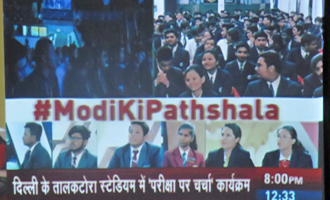 An interactive video conference titled ‘Pariksha pe charcha’ was held with PM Modi in school. 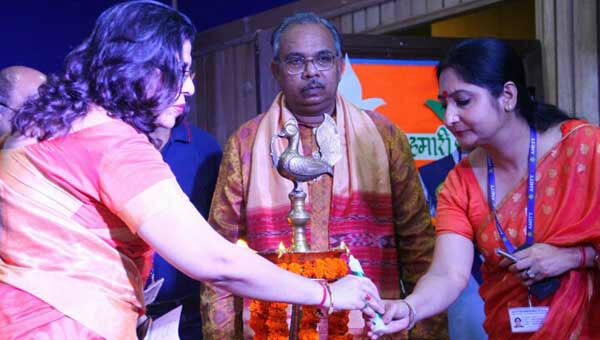 The event was graced by Chairperson Dr (Mrs) Amita Chauhan along with Dr Mahesh Kumar, Minister of State (Independent Charge) for Culture, Tourism and Civil Aviation. PM Modi addressed students of Class X -XII from all over India and counselled them about the secrets of stress- free examinations. 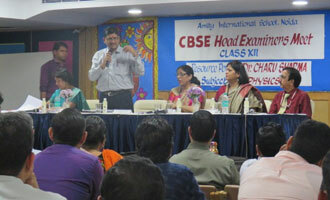 The conference focussed on exam related issues such as exam stress, success and failure in exam. 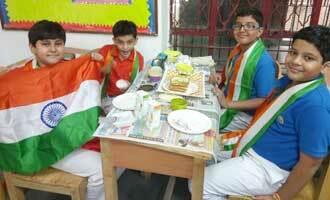 The event was also covered by Zee News. 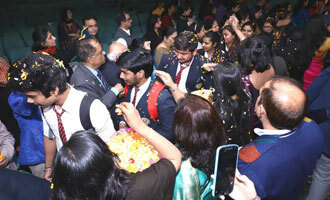 Students from school namely Dalaisha Aggarwal, Anannda Mittal, Sehaj Ghuman and Nitya Gupta of grade IX attended the special convocation at AU, Noida. The convocation felicitated Dr Jitendra Singh, Minister of State (IC) and Takaaki Kajita, a Nobel Laureate with Honorary Doctorate Degrees in Science. 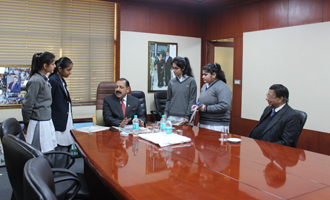 The students had the opportunity to interview the two leaders who inspired with their achievements and struggle in life. 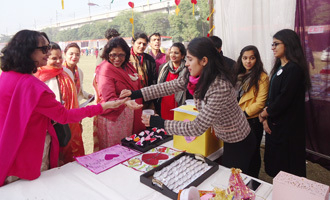 The winter carnival held at school was celebrated to promote family bonding, togetherness and Indian values and morals. 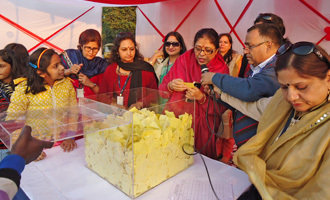 The day was filled with enthusiasm, excitement and interesting stalls for food, handicrafts, apparels and other household and consumer goods. 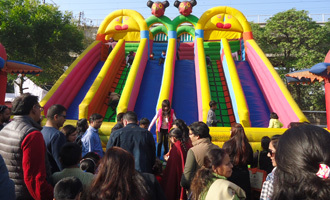 The joy rides, fun-filled games, a live DJ, Tambola were big draws. 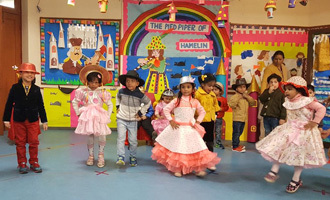 The school organized a fairy tale presentation for the students of Nursery to boost a child’s imagination and cultural literacy. 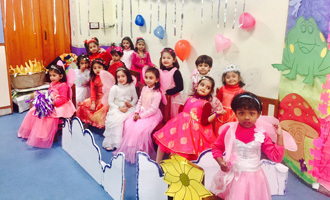 Children enacted different fairy tales in their beautifully decorated classrooms. They learnt the morals behind the tales and the important values of love, perseverance and humanity. A special assembly was conducted for the students of Class II showcasing two important rivers of India- Brahmaputra and Yamuna. 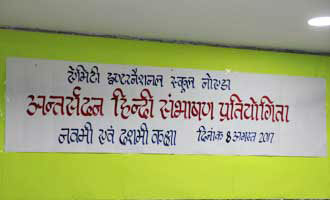 Through the activity, children were sensitised about the need to treat natural resources with utmost care and respect. 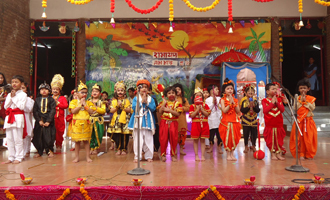 They also shared interesting facts and figures about the two rivers followed by a series of dance performances depicting the life of Lord Krishna and his childhood on the banks of river Yamuna. 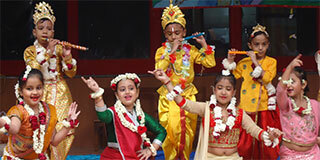 A weeklong Ramleela was staged in the preprimary wing of the school in which students from Class KG participated. 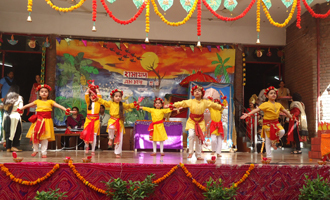 The children gave various splendid performances using beautiful costumes, props, makeup and musical effects. 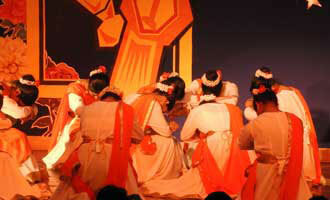 Ramleela song was sung at the end of every episode and the final episode was concluded by a beautiful Aarti. 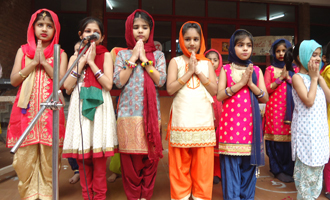 The primary wing of the school held a special assembly on the occasion of Diwali. 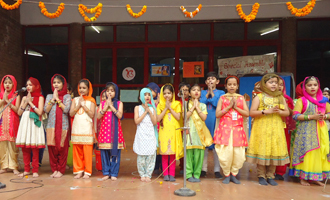 Children performed a skit on eco- friendly Diwali, followed by a beautiful group dance performance. 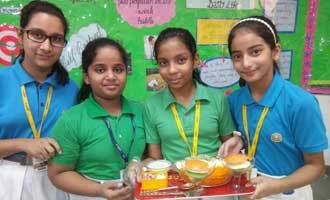 They also spoke about how we can celebrate a cracker free, environment friendly and a safe Diwali. 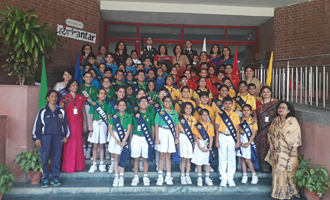 The Investiture ceremony held for the primary wing of session 2017-18 was organised in the school. 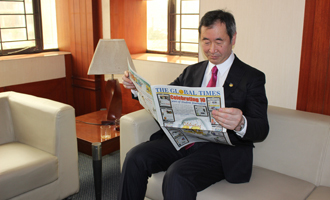 A total of 54 Prefects were appointed after rigorous rounds of interviews. Head Boy Shaurya Mehta and Head Girl Ravisha Nautiyal shared their experiences and ingrained values to the newly elected council members. The appointees took an oath to don the mantle of responsibilities with dedication and commitment. 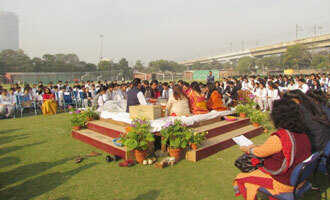 A special assembly on Gurupurab commenced with prayers followed by thought for the day and news around the country. An informative and enlightening talk about the life and philosophy of Guru Nanak Dev Ji and a Shabd Kirtan was performed. 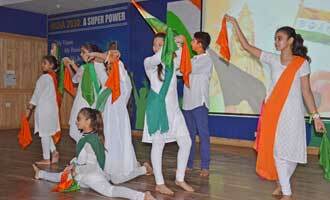 A vibrant foot tapping dance performance and quiz was also conducted on the occasion. 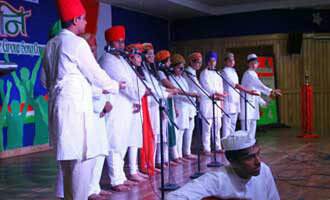 The students of Class V conducted a special assembly on river ‘Narmada’. The assembly aimed to create awareness about the cultural heritage of India and inculcate respect for our rivers in the students. 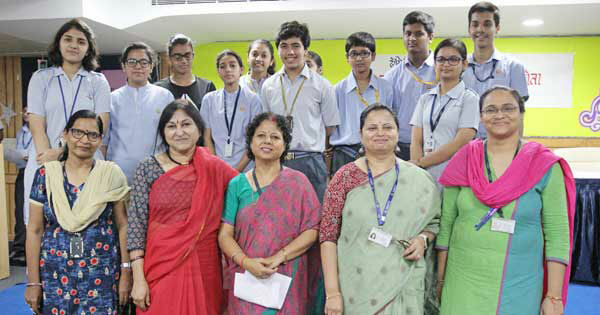 The students presented an informative talk on river Narmada and also highlighted the ‘Narmada Bachao’ movement, headed by Medha Patekar. They were also sensitised about the cause of river pollution with placards depicting washing, releasing of industrial wastes, etc. 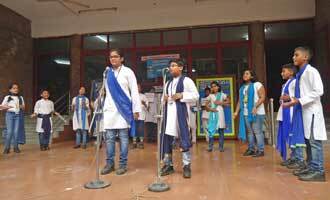 followed by a nukkad natak performance by students highlighting the urgent need to protect, preserve and curb river pollution. 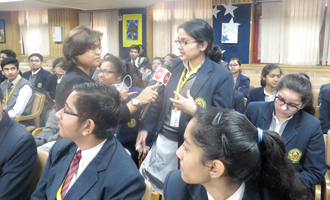 The school held inter- house heritage quiz competition to acclimatize students of the rich cultural heritage on the country. 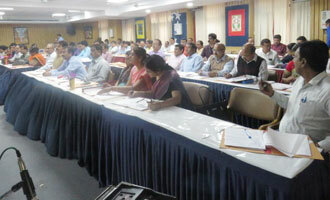 The quiz was based on the rivers of India namely Ganga, Yamuna and Brahmaputra. 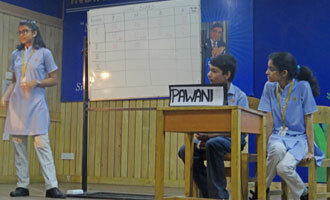 Mandakini house bagged the first position followed by Pawani on the second position and Bhagirathi on the third position, respectively. 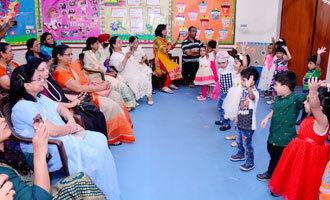 The Nursery students invited their grandparents to their classrooms on the occasion of Grandparent’s Day. 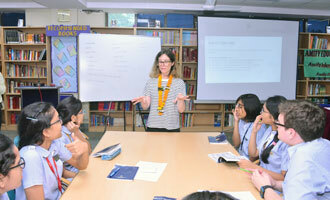 Each class conducted their own creative interactive session comprising quizzes, games, storytelling session, etc. 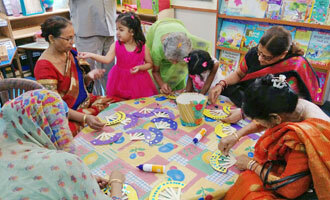 Grandparents also participated in activities like snack making, etc. with great enthusiasm and also sang songs with their grandchildren. The children also presented them with handmade cards on the occasion. 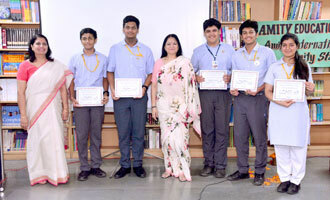 The school organised a ‘Build a start-up’ workshop for Amity Group of Schools that provided end to end knowledge of entrepreneurship cycle from the initial phase of evaluating a business idea to the actual business launch. 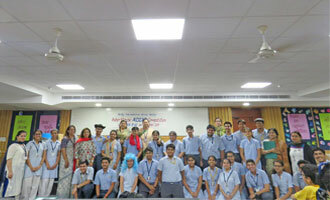 The workshop organised under the aegis of AERC and conducted by experts from Germany, concluded with the participating teams sharing their unique business ideas judged by experts. 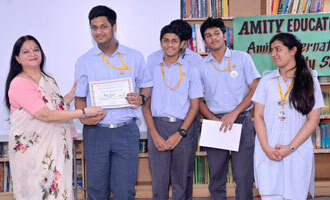 Team ‘Shop Track’ from the school scored third position for their business venture of tracking shopping patterns of consumers. 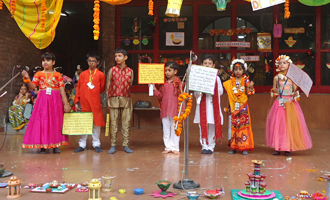 On the occasion of Independence Day, the school organised a variety of interesting activities and competitions for the students of Class VI to X to show their undying love for their country. 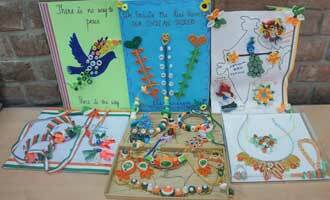 The children designed intricate jewellery and greeting cards by quilling crafted kites and prepared in tri coloured hues. They also made colourful collages depicting their perspectives of an India which is ‘Free’ from illiteracy, pollution and gender disparity. 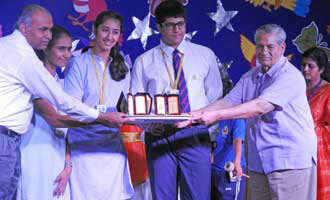 The school organised a prize distribution ceremony for the students of Classes VI to XII. 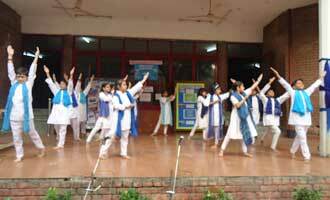 Over 500 students were felicitated for their achievements in fields such as dance, Scottish band, instruments such as Sitar, Tabla, Keyboard, Mandolin and Flute, Vocal Music, Theatre, Amity Cadet Corps and Art. 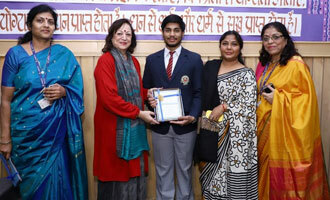 School Principal Renu Singh congratulated the students on their astounding success. 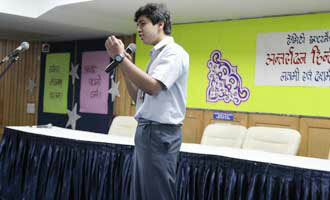 The school organised a Hindi elocution competition for students of Class IX- X. 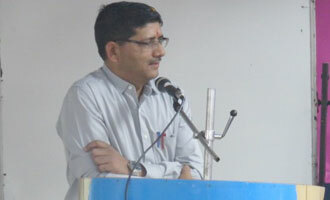 The topics allotted were ‘Swatantrata ka sadupayog’ and ‘Siksha ka updeshya’. 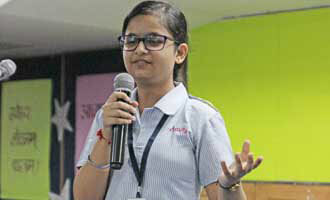 Through their two-minute speeches, students talked about different perceptions of freedom, emphasizing on character development and evolution of mindsets through quality education. 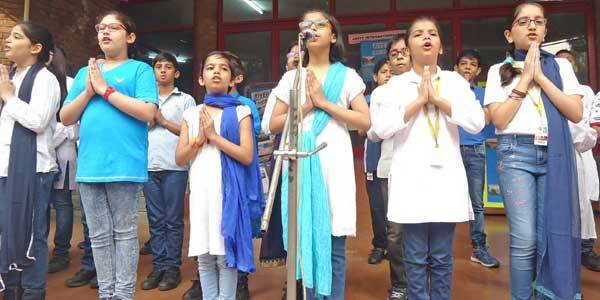 On the occasion of 70th Independence Day, the school organised their 15th Inter- school patriotic song competition titled ‘Dhwani’, wherein over 40 schools participated. 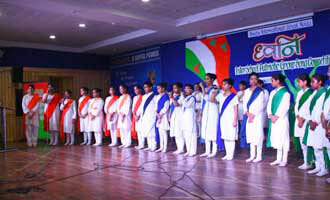 The students from various schools presented their love for the country in a very melodious way. 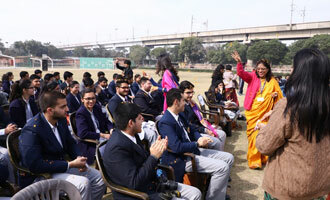 School Principal Renu Singh applauded the performance of the students. 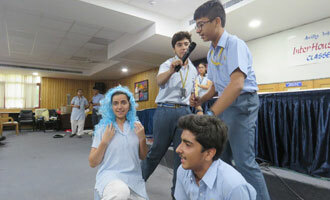 The school organised an inter-house ADZAP competition where students had to prepare different creative advertisements for their given topics as washing powder, multipurpose school bag, snacks and eraser etc. 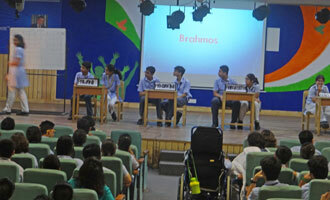 The first position was bagged by Pawani house, followed by Bhagirathi on the second position. 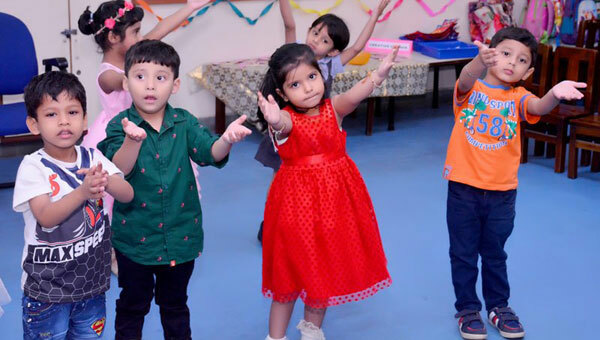 Mandakini and Alaknanada had a tie and grabbed the third position. 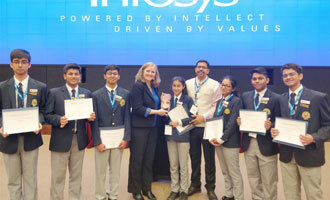 The award function for Amity- Innovation in Education Technology Award was held at AIS PV. 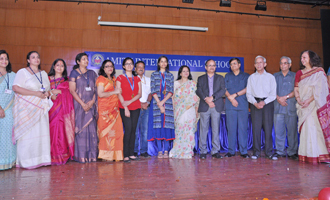 This unique award for teachers was instituted in the year 2015 by Chairperson to encourage and motivate teachers to adopt technology led new age learning models and imbibe 21st century skills in students. 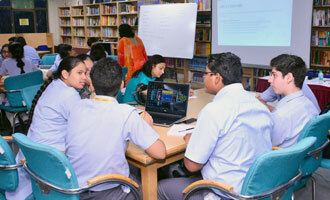 Teachers shared their lesson ideas and classroom experiences focusing on new age learning models like PBL, Flipped, and Blended, with the audience. 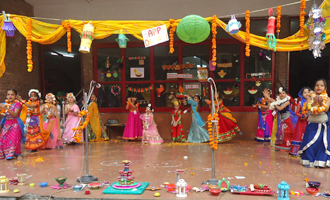 Pushpanjali and Alka Trivedi from the school bagged the award for best entry in the senior and primary school category, respectively. Amity Group of Schools organised a felicitation ceremony to honour students for their impeccable achievements in the Board Examinations 2017. 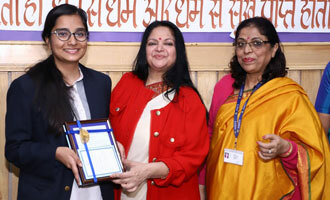 Raksha Gopal, a Class XII student achieved the highest ranking of 99.6% in the country in the CBSE Board Examinations 2017 and was felicitated with the National Topper Award. She was awarded with special citation and trophy in the ceremony.